It is a little sad for the trip to be coming to an end. We descend towards Lukla, but we all remember that there is 1000 feet of climbing before we get there. So we have to keep something in reserve for that last little bit. Whether it was the thicker air, the fact that we are all fitter, or what, the climb up to Lukla seemed to be over quickly. We passed so many things that we had stopped to photograph the first day. 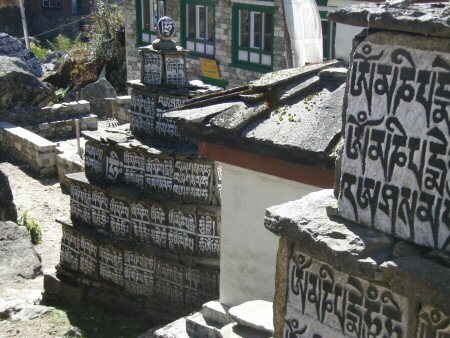 Now they seemed commonplace: Mani walls, long suspension bridged, trains of yaks, Chortens, painted and inscribed rocks, strings of prayer flags, terraced hillsides green with crops. We saw a lot of clean, energetic trekkers heading up the trail, going the wrong way around the Chortens, taking lots of pictures. That was us three weeks ago. 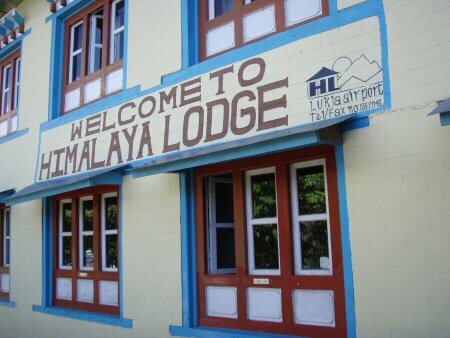 We are staying in the Himalaya Lodge tonight, not in our tents. Our cook staff will prepare the meal, but we will get to eat and sleep indoors. 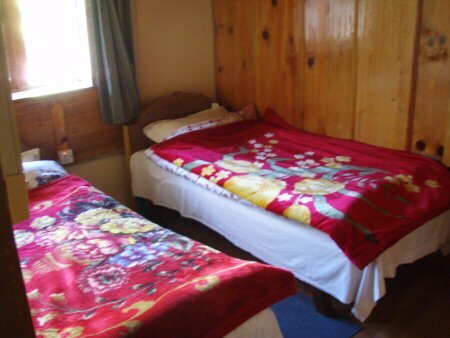 We can really appreciate the luxury of a bed, even in an unheated section of the building. I went into town looking for an internet connection, and found a Starbucks, where I could send email using my iPod.